On Wednesday night I had a marathon phone call with my mom. One of the topics we covered was the frustration I have been feeling in relation to the visa process. As I’ve mentioned previously, I never expected this to be a breeze, but I didn’t expect for the process and the information we receive to be so vague. I think the assumption that we would be kept more in the know stems from my experience with the UKBA Office in New York City when I applied for my student visa. That office communicated with me very clearly via e-mail when my application was received and when I would receive more information from them. Also, if a person is applying from outside of the UK, there is a tool on the UKBA website that allows you to check what the typical processing times are for your specific visa type. However, I attempted to find out the processing times within the UK, and from my research and scouring the UKBA website, that information is not available nor is a general guideline of processing times outlined in the first letter we received. I have been trying to understand what has bothered me the most about this, and I’ve come to the conclusion that it is because these offices within the same organization all work so differently. One would think that all offices would have the same guidelines and information-sharing tools to simplify and streamline how the organization functions as a whole. Alas, that is not the case at least from the eyes of an applicant, but perhaps behind-the-scenes it all works the same. All of those frustrations aside, after I hung up the phone with my mom, I thought to myself that maybe, just maybe I needed to have that conversation with her to spring things into motion. (I know it might be a bit strange, but I do feel that sometimes the world works this way.) I bet you can all guess what happened the following day. There was a letter in our post from the UKBA requesting that I complete the next step in the application process which is to have my biometrics taken! Ha! I immediately located the Post Office branch closest to us that captures biometric information. And today, I made sure to tick that step off of my visa to-do list. I knew from the student visa process that having your biometrics taken is quite simple. Most times, the hardest part is actually getting to the place to have them done and the same was true today. I was in and out of the Post Office in less than 10 minutes, which still allowed me time to ask the woman who helped me if she knew what happened from here. Any guesses on what she said? She has no idea! I had to laugh when she told me it’s like a ‘secret service’ because they are not told anything about the next steps aside from that it takes no more than 48 hours for the information to arrive at the UKBA. So, at least there’s that! 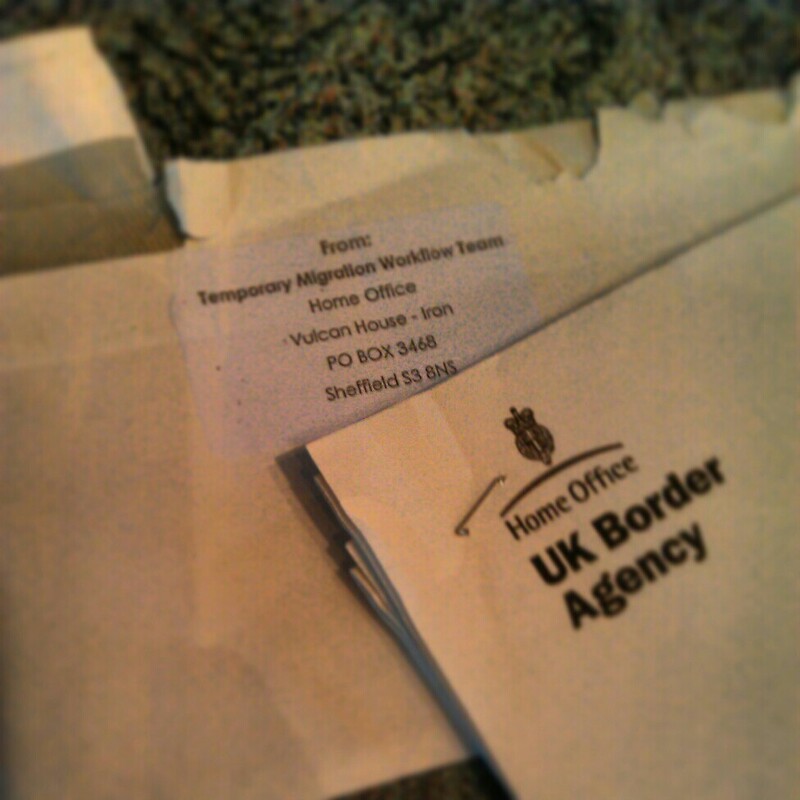 Anyway, I’m very glad that it seems we are making forward progress on my visa! And now, we’re back to waiting! If you want to read Part One, you can do so here.